10. Matthew Beard (Edward Sergeant) and Carey Mulligan (Kyra Hollis). Photo by John Haynes. 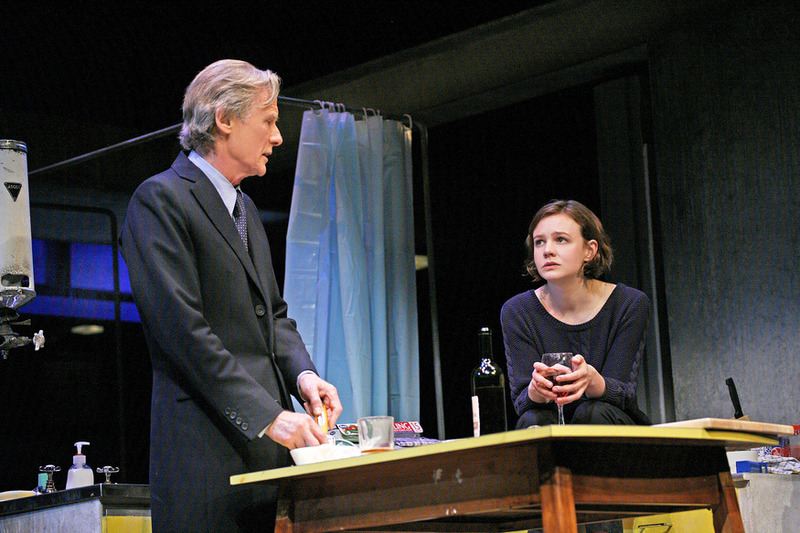 David Hare’s Skylight is a simple, pared-back play about a broken and unlikely relationship that hinges entirely on the performances of its two lead actors. Lucky then that this revival has at its centre the elite talents of Bill Nighy and Carey Mulligan as duelling ex-lovers Tom and Kyra. The question then is a very simple one: who is better? And that’s not an unreasonable question either because the play deliberately sets the two characters against each other in every single way possible, testing the idea that ‘opposites attract’ to its absolute limit. Tom is a high-rolling restaurateur while Kyra is a self-sacrificing teacher in a state school; he is macho, she cooks the dinner; he restless, she still; old, young; cold, warm; right wing, left wing, etc, etc, etc. In fact, it’s clear even before we see the two together that they don’t have anything in common – apart from their history and connection to the third person in their relationship, Tom’s recently-deceased wife Alice, behind whose back they were sleeping over a six year period. There’s not much more plot to give away than that in a talky chamber piece that takes place entirely in one location: Kyra’s pokey flat in North West London. The two reunite, argue, cry, screw and (nearly) eat some spaghetti. This is the theatre of therapy, which David Hare does so well: a perfectly-targeted play for the average middle class London audience (who all lapped it up last night). And director Stephen Daldry is the perfect person to orchestrate this sort of thing – putting all the emphasis on his stars and refusing to obstruct their connection. A bit of snow and the sizzle of a saucepan are about the only extraneous effects on show (aside from a slightly unnecessary intro and outro with Matthew Beard as Tom's son Edward). So, who is better then: Nighy or Mulligan? Well, Nighy gets all the laughs, prowling around like an ageing wide boy who thinks he’s in the Rolling Stones, his pipe cleaner body twitching while his great head, like an Easter Island statue underneath Michael Heseltine hair, bobs around looking aghast at the state of the flat he’s in (Bob Crowley’s sink estate set looks like a low rent Rear Window – atmospheric though also somewhat condescending). 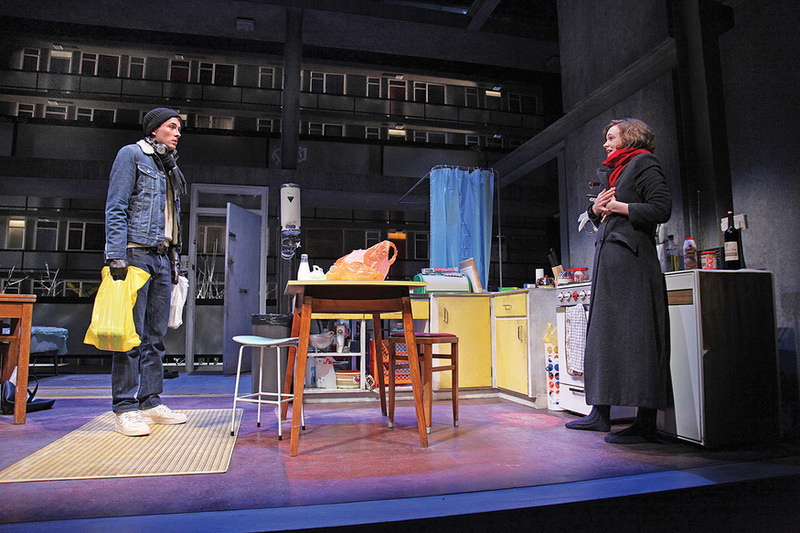 Hare gives Tom the juiciest lines, which affords Nighy an unfair edge – and he also gets the biggest laugh of the night when he reacts with colourful contempt to a mouldy chunk of parmesan cheese. Mulligan’s character gets all the moral heft. Kyra may not be quite as charismatic as Tom, but the deck is stacked in her favour so the audience feels for her a lot more than him (though there are serious questions about her behaviour towards Alice that are left strangely untouched upon). Mulligan has the look of a Care Bear but the demeanour of a BBC news reader, a strangely winning combination that allows her to absorb and deflect the majority of the barbs and unreasonable petitions that come her way. She gives a deft, unselfish performance: the perfect yin to Nighy’s yang. So if you really want to be so crass as to ask the question: who is better? Let it be said that the two are rather hypnotic together. 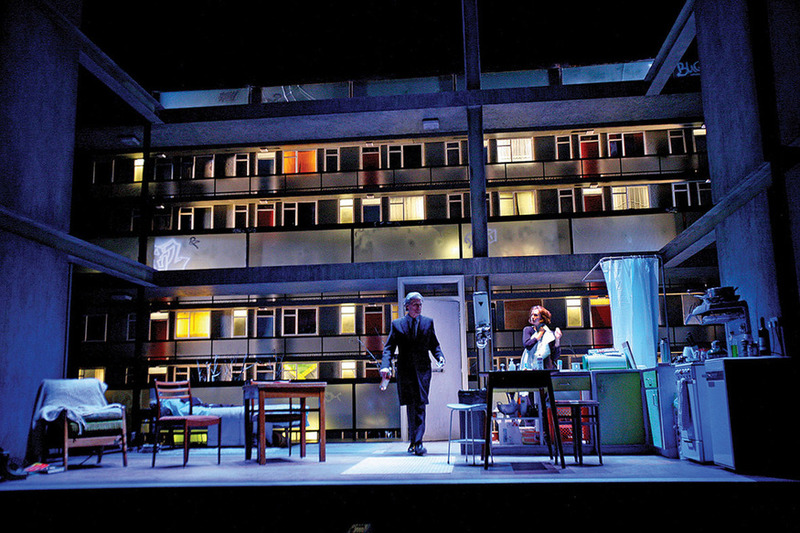 Skylight is on at the Wyndham’s Theatre until 23 August 2014. Londonist saw this play on a complimentary ticket.